For almost a year, I have owned a new 15″ laptop that I love. As someone that loves tech, I am always wanting to experiment with the latest and greatest, but that doesn’t mean I don’t want to look stylish. My old laptop bag I had been carrying around since college and in all honesty, it looked like it (especially since I have been out of college since 2009 – yikes!). With how much I travel, I thought it was time a treat myself to a new laptop bag – one that was happy to carry around and met all my needs of making sure my laptop, which carries my entire livelihood, is safe and secure. As I was researching laptop bags, I discovered a new (to me; they’ve been doing what they do since 1998) and innovative company that sounded perfect for me – Pacsafe. Unlike other bag companies, they specialize in creating truly theft-proof products that keep everything in your bag sefe and secure. Curious about their products, I emailed them asking for more information and was ecstatic when I found out they wanted me to review one of their anti-theft laptop bags! To say the least, I was eagerly waiting for its arrival, especially since I was hoping this backpack was as cute in person as it was online! Are you someone who is constantly traveling and worried that your laptop or entire backpack will be stolen? With how many electronics most of us carry around, it is important you keep you and your valuables protected! Rather than being paranoid, protect your stuff with antitheft backpacks like the PacSafe Venturesafe 25L Anti-Theft Travel Pack. This lightweight backpack is designed to be safe and secure, using some of the most innovative and high tech materials to keep your stuff safe while you are going to class, doing errands, hiking, or even traveling abroad. This unique backpack is made using eXomesh slashguard and slashproof carry-safe straps, keeping it safe from being cut from your back while walking, one of the most common theft methods. As well, this backpack has smart proof zipper and turn and lock secure hooks, which together make sure that the only hands inside your backpack are your own, especially while it is on your back and out of your sight. While security is of course the most important aspect of the PacSafe Venturesafe 25L Anti-Theft Travel Pack, it doesn’t stop there! This bakcpack is designed for comfort and convenience, giving you plenty of pockets and compartments inside the bag itself. This backpack boasts a 15″ laptop compartment that is perfectly sized for Macbooks or PCs (including my Lenovo Y500), a phone pocket, waist strap, key and wallet ring, and more. With three great colors, men and women alike will love carrying this Pacsafe backpack! I have had a lot of laptop bags of the years but the PacSafe Venturesafe 25L Anti-Theft Travel Pack is by far my favorite! This lightweight backpack is perfectly designed for people on the go, giving you plenty of secure room for your books, laptop, tablets, and other items you want to bring with you. Unlike most multi-functional backpacks, it even has adequate padding for your gadgets, allowing you to feel confident that if an accident did happen, you are unlikely to crack your laptop screen or your actual laptop case. What I love the most, however, is all the antitheft features and how they really aren’t any more inconvenient than using a regular backpack. Normally, extra security means more of a hassle, but this isn’t true with Pacsafe! Since I am always traveling with my husband, I am happy to have a backpack that is slash proof (both straps and the bag), has security hooks, security zippers, and even RFIDsafe (people can’t read your ID or RFID-equipped credit cards through your backpack). Really, this is the perfect backpack for anyone on the move. With how much I adore this backpack, I can’t imagine using anything else. 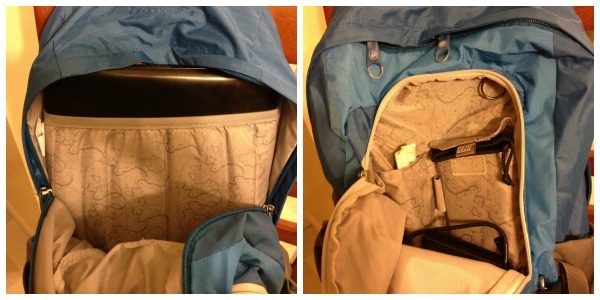 For this reason, I am delighted to give the PacSafe Venturesafe 25L Anti-Theft Travel Pack an A+ rating! Would you like to purchase the PacSafe Venturesafe 25L Anti-Theft Travel Pack for yourself or someone in your family? 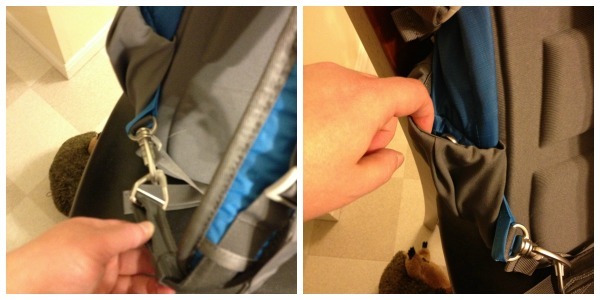 Currently, you can purchase this amazing anti-theft backpack for $130 on the Pacsafe website. 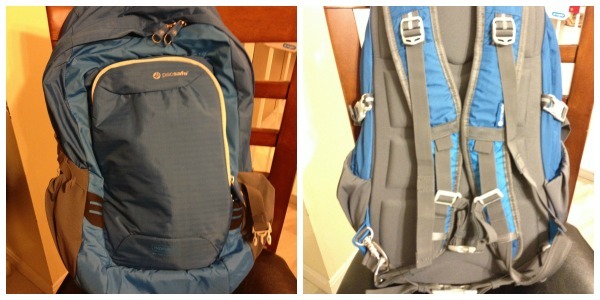 Once you have seen this backpack, you will understand why I am now a big fan of Pacsafe products! I have seen these before and they are pretty neat. I think this would be great for college students or travelers. I want to buy one but I want the same color as what you’ve reviewed. I can’t find anything on their website nor amazon.